We really believe in working together. Therefore, we built CoCoon Circle, an alliance with partners locally and around the world. If you have a mission to drive entrepreneurship, then we want to work with you as well. Spark Labs is a coworking ecosystem based in Union Square 100% dedicated to helping tech & media companies.We help local & foreign tech entrepreneurs accelerate the development of their business in the US by leveraging our space and support infrastructure. We believe that fostering great businesses starts with having the right environment, support, benefits, mentors, investors and local connections. Being entrepreneurs ourselves, we know that launching or expanding a company into a new market can be difficult. That's why we've decided to develop a revolutionary ecosystem for entrepreneurs with a very strong focus on community, network and relationships. Malaysian Global Innovation and Creativity Centre (MaGIC), organizer of Southeast Asian largest business accelerator's mission is to catalyze the entrepreneurial ecosystem in Malaysia, bringing together the abundant resources from partners and communities alike, and to develop entrepreneurs of enduring, high growth startups that will make a positive impact at a regional or global scale. JCI is a nonprofit organization of young active citizens age 18 to 40 who are engaged and committed to creating impact in their communities.It gathers active citizens from all sectors of society and find targeted solutions to local issues benefiting the communities, world and future. By leveraging technology, we identify relevant journalists and outreach to them efficiently. We streamline traditional PR process & reduce our man hour which makes us 3x more efficient than traditional PR agency. By bringing the PR cost down, we make PR accessible not only to big Corporates, but also Startups & SMEs. 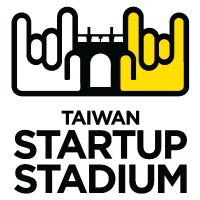 Taiwan Startup Stadium (TSS), backed by National Development Council (NDC) of the Executive Yuan, Taiwan, is a hub thatcoaches Taiwan startups to go global through mentorship, boot camps, workshops & educational programs with top international experts. The REDbird Award Program is a student development and leadership program of HKUST that aims to foster the participants’ desirable attributes of Respectful,Energetic,Diverse, bright, innovative, responsive, diligent and dependable. Incu-Lab is an organization working on incubation of innovative and creative startups and change-making entrepreneurs, through providing co-working space, courses, training, education channels and multi-layer knowledge. 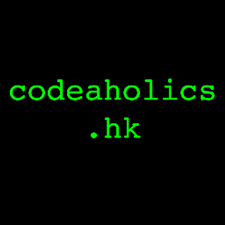 Codeholics is a group of software developers from Hong Kong. We meet up once a month to have a few talks and chat. SOW Asia is a charitable foundation based in Hong Kong that supports enterprises intent on scaling their social and/or environmental impact through financial investments and our accelerator program. PurpleCow Startup Association is initiated by Leopard Mobile, aims at promoting startup, looking for the opportunities in hopes of integrating industry resources, facilitating the advancement of the mobile Internet industry and encouraging more professionals in Taiwan to bring their talents to the world. Ablaze is a startup program run by Ablaze Idea Lab in partnership with New Media Group to sparkle innovation in media, marketing and consumer segments. It is particular suitable for startups that are looking for ways to drive traffic and adoption and open to work with a partner to develop go-to-market strategy. When East meets West, miracles happen through interchange of human wisdom. WTOIP Group, as a global resource sharing platform for entrepreneurial services with focus on IP, is strive to act as a junction of technology, knowledge, expertise and resources from the East and West, in an attempt to facilitate the exchange of ideas and transform it into synergy to drive the general improvement of the society. Our comprehensive online and office platforms and activities will provide you with assurance to achieve desired business outcomes in China. ​Shift Accelerator specialized in accelerating startups targeting at Asian Market. Run accelerator belongs to CR Group and CR land. It is determined to build a high-end international accelerator, providing entrepreneurship related service. AstroLabs is the Middle East region's premier co-working space and learning academy for digital technology companies, housing a community of over 100 startups building a variety of innovative products. AstroLabs serves as a launchpad for the highest potential technology companies globally to establish a presence in Dubai and scale into other markets. Korea Trade-Investment Promotion Agency (KOTRA) is a Korea-based agency established to contribute to the development of the national economy by performing work such as trade promotion, investment between domestic and foreign companies and support of industrial technology cooperation etc.. KOTRA focuses its resources on the following four key missions: Full support for SMEs to explore overseas market opportunities; Global Job Creation; Diversification of exporting goods and market; and new overseas expansion opportunity identification. 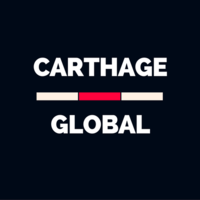 Carthage Global helps entrepreneurs and businesses enter new markets, develop new services and export their products in Asia, Africa and beyond. Feel the pulse of your target market with the market research, go-to-market strategy and competitor analysis services by Carthage Global. You can also meet reliable local partners that can help you expand your products and services across Asia at competitive prices. RocketSpace is a global ecosystem of people and ideas that provides the necessary velocity — both speed and direction — to help the world’s top innovators bring the future to market. Founded in San Francisco in 2011, its global network of technology campuses across Asia, Europe and Australia and services are designed to help tech startups scale. RocketSpace’s Corporate Innovation Services team helps fuel global brands’ innovation programs by tapping into its ecosystem of startups from around the world. Rework is "Where Your Best Happens". It is the fastest growth-driven co-working platform in Jakarta with a turnkey solution for managed workspace (co-working), private office, meeting rooms and event space. Rework creates a workspace and platform so you can be at your best. Investopad was founded in 2014, with the mission to support and build a thriving ecosystem of Startups, Entrepreneurs, Angel Investors and Mentors by developing community workspaces for professionals and small businesses. They strive to facilitate a collaborative work environment - by entrepreneurs, for entrepreneurs - in order to help startups create value and build long-term, successful businesses. Investopad has a history of incubating and investing in early stage companies and their portfolio boasts of successful investments in technology startups like Zenatix, Hypertrack, MyPoolin, Meesho etc. ​Information Technology Park (ITP) is an organization which aims to build a tech startup ecosystem in Vietnam. It provides shared workspace and holds different training programs to support startups in Vietnam. ​​Foshan University (merger between its predecessor and Foshan Agriculture & Animal Husbandry College) is a designated full-time comprehensive university under the ratification of the State Education Ministry in 1995. In 2002, Foshan University passed the national teaching assessment for bachelor's degree program. After merging with Foshan Medical College and Foshan College of Education in 2005.